You have to make a presentation from scratch. You have to think of your objective. What do you want the audience to do at the end of the presentation? It is not easy as you think. Let me illustrate. You are selling cloud ERP software to large companies. 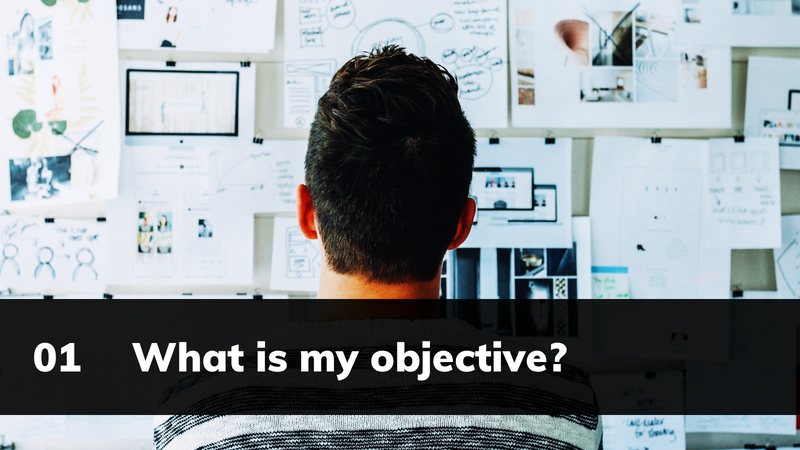 What is the objective of your B2B sales presentation? No. The only objective of your first presentation to the prospect is to secure the second meeting. It will need much more than one meeting and one PowerPoint presentation to close the deal. If your 'new' objective is to secure a second meeting with the same client, you would now focus on creating a good first impression and answering the few basic questions which will help you reach round two of the discussions. You are not under any pressure to 'sell' the software in the first meeting with the prospect. This takes away a lot of pressure and a lot of needless and extra content out of this presentation to the next one. You can now make a small presentation which shares your company's capability and credibility.